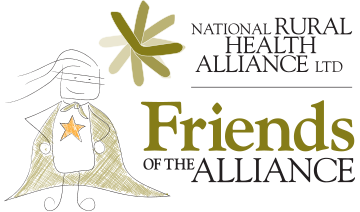 al and remote health, the National Rural Health Alliance (NRHA). The peak national body for rural health has welcomed $62m to train doctors in rural generalist practice, but says tonight’s budget has largely failed to address a critical shortage of allied health professionals for 7million people living outside metropolitan Australia. National Rural Health Alliance CEO Mark Diamond said the budget was a mixed bag for rural health. Aboriginal and Torres Strait Islander health inequality is the most pressing health issue facing Australia, according to over 1100 delegates at the 15th National Rural Health Conference. Australia’s 15th National Rural Health Conference has opened in Hobart with a big focus on nursing and a call for the abolition of discrimination and racism in health service delivery in remote and rural areas. The federal government roll out of around 180 new mobile base stations in regional cities has been welcomed by the National Rural Health Alliance (NRHA), but remote communities should be a priority in an effort to boost telecommunications infrastructure. There are thousands of good ideas in Australia's rural and remote health sector about how to improve health and wellbeing. Hundreds of them will be knocking around, looking for oxygen in the Sharing Shed at the 15th National Rural Health Conference in Hobart from 24-27 March 2019. A new study of four social enterprise ventures in regional cities around Australia found significant benefits to participants health and wellbeing by reducing inequalities in health, economic participation and social engagement. The findings will be presented at the 15th National Rural Health Conference in Hobart from 24-27 March.